I've known for a very long time that I have mental health issues. From a young age I struggled with social interaction, I felt depressed and lonely and I struggled to voice my emotions. It wasn't until the last two-three years that my mental health really started to take a toll on my life and I knew then I needed help. For a long time I went to different doctors, therapists, I tried different techniques, both natural and prescribed but finally I have found something that is working for me. For two years however, I struggled with the fact that this is who I am. I was told by many people that it was just stress. It was just exams. It was just a phase in my life. I believed this and every time I failed I felt worse. Why wasn't I getting better? Was I just being dramatic? Should I just be getting on with things like everyone else? Because of these feelings I pretended to be doing better than I was. I ignored my mental illness and neglected looking after myself. I cared more about proving to people that I was 'normal' than actually helping myself. In turn, I let my mental illness get worse. I was sick and I didn't even know. I developed OCD (contamination, checking, counting and picking/pulling). I told people about my worries of having OCD but I was ignored. I told every therapist and doctor about pulling out my hair (which was my main worry) and nothing was done about it. They gave me no information on Trichotillomania and again, I was left feeling silly. Every doctor, therapist and psychologist I went to refused to diagnose my mental illness and so, I thought I was just being silly. I knew I was sick, but nobody else would acknowledge my illness so I thought I was wrong. Finally over three years later, I went to my campus counselor who did very thorough tests with me. 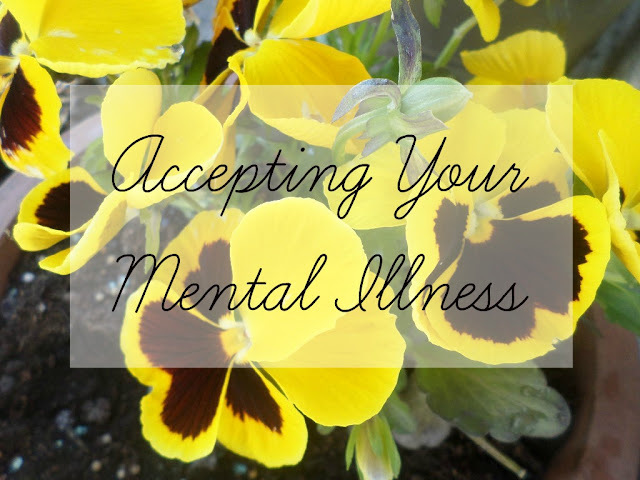 She finally acknowledged my mental illness for what it was - an illness. She acknowledge my trichotillomania and I was FINALLY diagnosed properly with severe anxiety and moderate OCD. She told me about trichotillomania and gave me leaflets and weblinks to look at and read. I finally felt like I was getting somewhere. I'm not saying 'oh, you need to be diagnosed in order to get better' but I am saying that you will not get better without the help you need. I always felt like I was being laughed at. I thought everyone thought that I was being dramatic. I thought everyone was getting fed up trying to help me and I thought that they would give up if I didn't act like everything was OK. I finally accepted that I had a problem that I needed help with. I no longer felt stupid or irrational. I felt like I was finally taking the steps in the right direction to finally getting better. My anxiety is improving. My OCD is no longer my main priority in my daily life. My medication has been halved which is a step closer to being anti-depressant free. Things are going well. All I needed to accept my illness was for someone to acknowledge it, because you can't get better if you don't think you're sick in the first place.